The very latest road and race tyres require countless hours of extensive testing, much of which is often carried out on the track. 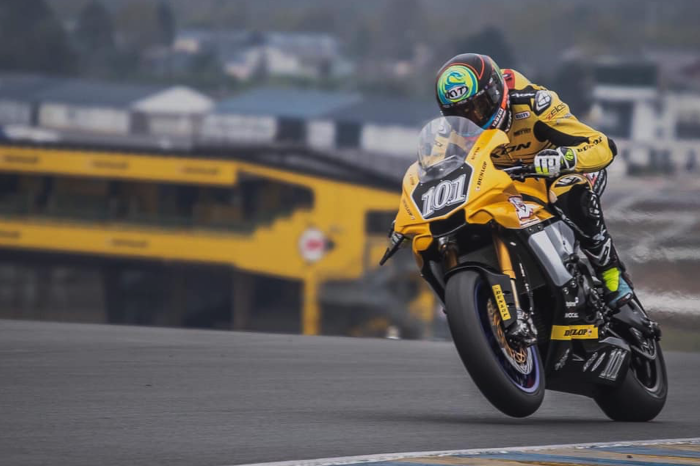 Usually these intensive track sessions take place behind closed doors, but last weekend Dunlop took the unusual step of entering their test machine in the French Superbike Championship with former MotoGP star tuned FIM EWC rider Xavier Simeon in the hot seat. Simeon’s YZF-R1 was fitted with the latest spec Dunlop Superbike tyres, and the weekend would give them an excellent opportunity to evaluate their performance at premier race level. Despite dominating in qualifying, Simeon retired from the opening race. However, in race two he was part of a thrilling five-way battle for the lead, eventually pulling away to win by a clear 3-second margin ahead of Mathieu Gines. The YZF-R1 ridden by Xavier is part of Dunlop’s own Test Team fleet, which regularly operates at their Proving Grounds in Mireval, France. In the coming weeks, the manufacturer will announce which other events and championships will be entered, with a number of top-level riders set to take part to give a wide range of feedback.